At times what you do is "put all your eggs in one basket". You place a very big bet on something despite being fully aware that the odds could be 50:50. The long shadow of the light bulb is the big bet or "The Big Gamble" I am talking about. It falls right on the line created by the light and shadow differential, hinting that the bet could go either way. The bet could be a big home loan, a bet in the stock markets, or even a marriage based on blind faith in your partner. 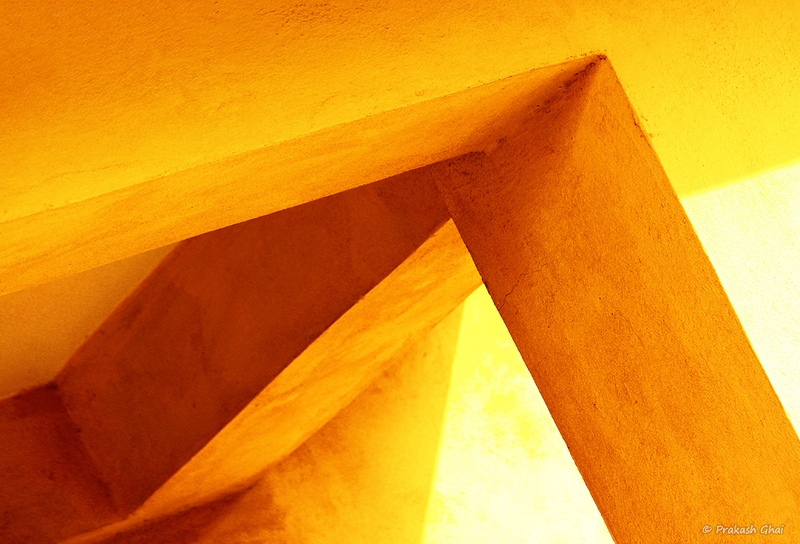 The photo falls under the Minimalism as Simple Geometry category. How I spotted this was fairly simple. Look-up whenever you see slanting sunlight coming in from an opening. 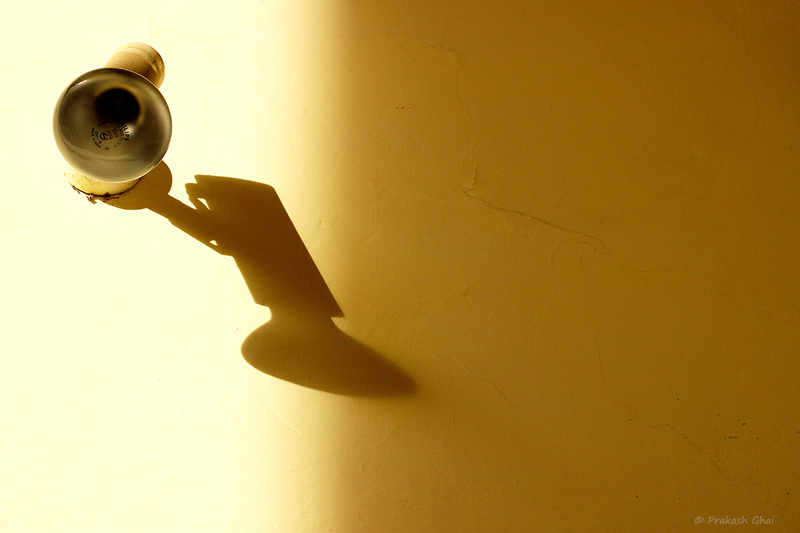 What made me click this, was of course the elongated shadow of the bulb and the yellow wall. I mostly have my Canon zoom lens on, but here I did not need zoom that much. I was fairly close to the subject. The challenge here was the elevated angle of the shot and attaining the right exposure. It is suggested to use exposure bracketing in such shots. Note: Avoid center placement of subjects. "At times you stumble upon people in life with whom you should ideally not tie the knot of a relationship with. But a wandering heart never listens.". You find that are the odd one out in your family. You are the complete opposite and you feel that nobody can ever understand you. And then you stumble upon a person who respects you for what you are, for what you say, for your views on life. He/she supports you and instills confidence in you. Suddenly you have a reason to smile, a reason to live, but you realize that maybe you cannot enter into a relationship with that person as it might be socially unacceptable for whatever reasons. But you eventually fall for him/her. You tie the Knot. To compose, I went really close to the subject, as the backdrop was not well lit and to properly expose the subject. 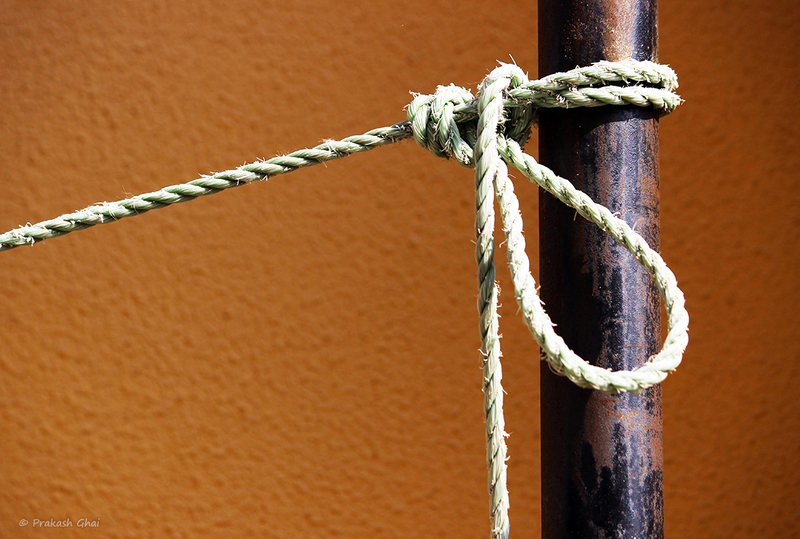 I wanted to emphasize on the knot and therefore I kept the background out of focus by using a lower f-stop. In Minimalism, I personally like to keep everything in focus, and for me a shallow depth of field is "cliche". But this shot is an exception. My general advice to all those new to minimalism is to use f-stops such as f/7 or f/8 and always try and click shots where everything is in focus, especially when shooting geometry. Lets get back to Simple Geometry today. We all love geometry, don't we? 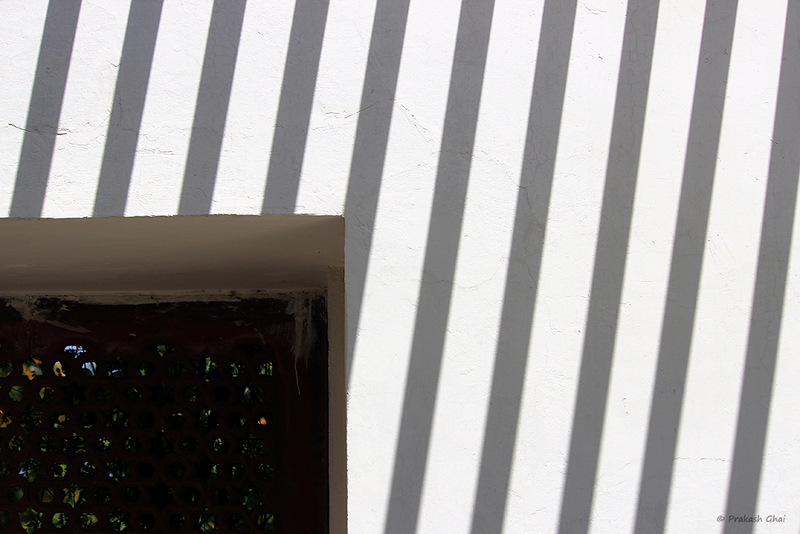 As soon as I spotted these lines created by the Sun, my eyes opened as wide as they could. And for a few minutes I kept admiring their beauty. I was thanking my stars for what I had stumbled upon, but there was a problem. Shooting only the lines was a shot too simple and mundane. So, I shifted my eyes left, where there was a big window. To add a bit of spice to the shot, I thought it would be a great idea to carve out a square from the window and show its interaction with the lines. 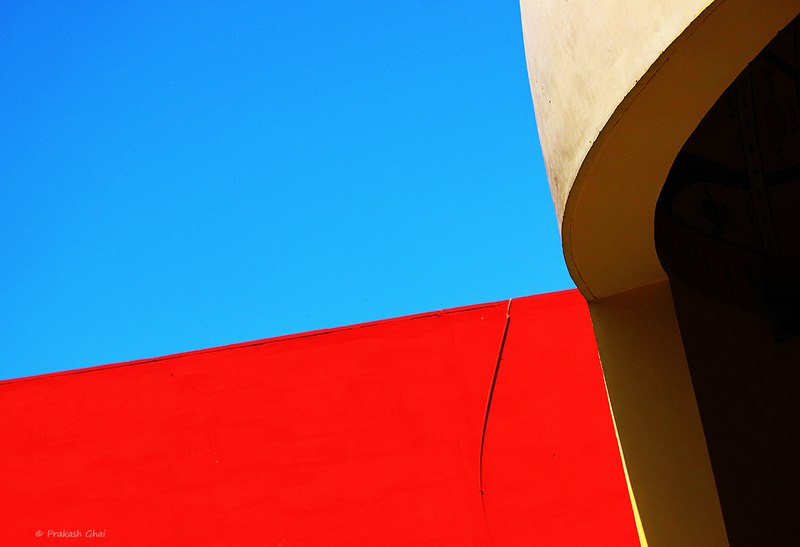 Therefore, I titled this Minimalist Shot as Lines Vs Square. I took multiple shots and it took me a while to bring the two visible sides of the square to approximately equal lengths . Later, I adjusted the levels in a photo editing software to make the shadows appear darker. Hope you enjoyed the shot. Wish you all a great day/evening. I went out for a photo walk after a very long time today. I was just not in the right mood to click photos and I had a disconnect with my sub-conscious mind lately. My conscious-mind on the other hand remains preoccupied by constant confusion and questions about reality such as, Whether reality exists? or is Life merely an illusion?. When you wake up in the morning, do you actually wake up? or you wake up within a dream and go back to sleep each day within that one very long dream?. Maybe, you have never woken up and What happens when you actually wake-up? Amidst all this confusion, today I finally decided to go out for a photo walk to refresh myself. I went in the vicinity of the famous Jantar Mantar. I have the knack of spotting Minimalist Subjects especially where the continuity is broken by a subtle change. 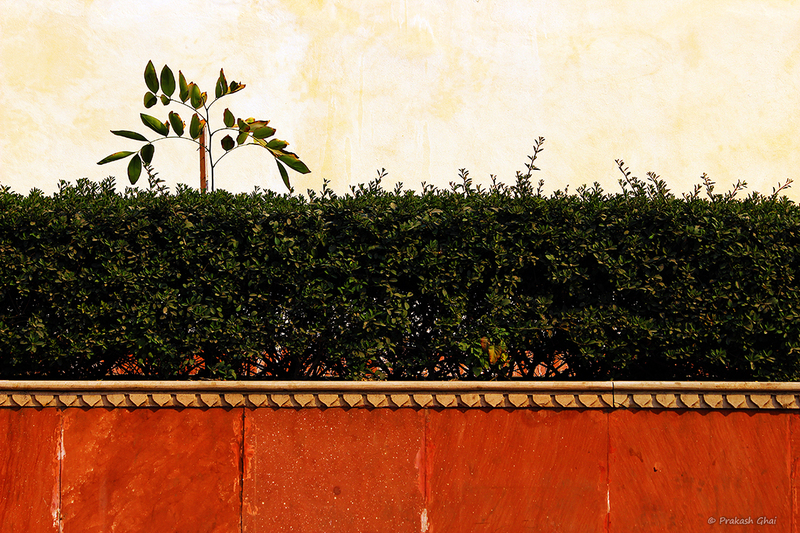 In the above image, what I initially spotted was two colored lines (i.e the red wall and the green hedge) going from right to left. Then a sudden and subtle change in form and the plant appeared right above the green line. Spotting such subjects is not easy and doesn't happen in your initial shots. It generally takes about 10-15 shots for you to get into the flow and in a better state of connectivity with your sub-conscious mind. Mind you, always go alone to shoot or else you will keep shooting from your conscious mind. I sat low on the ground and placed the plant on the top left corner of the frame, leaving some empty space on the right. Note, there are actually three lines here, the third being created by the overexposed sunlit wall. The message here is, that when even a small plant can grow and prosper in a crowded and challenging environment, despite not receiving sufficient sunlight, even you can make it big in whatever domain you passionately work despite all the hardships. All that you have to do is to stick with what you are doing for an "Extended period of time" without getting disheartened. Nature eventually rewards but only those people who do not give up and loose the spirit. Maybe you think you are tired and exhausted and cannot work hard anymore but who knows, all that you need is that "One Last Push" and you will be on the right side of things, with you head held high just like that plant. Sometimes in life we are presented with opportunities that confuse us. We are unable to make a choice, as when we weigh the pros and cons of such an opportunity they are roughly the same or 50-50. The above image represents such a situation. The gate (or the opportunity) is only partially open, making it difficult for us to make a choice either way. I shot this when I went to the St Xavier's College photo exhibition with a few friends of mine. As a Minimalist I have made it a rule, rather it is a habit now, to always have a careful look at entrance gates of the places I go to. They are always fantastic Minimalist Subjects. You will find a lot of artwork and unique geometry in them. The one that I found was maroon in color, with a contrasting yellow/dark orange sort of a back-drop along with some strong shadows. Cant get any better, or can it? I have shot gates before and this time to make the shot stand out I chose this unique angle. To begin with, I cut the gate into a small triangular shape by going down on my knees and then I used the colored wall's intersection point with the pale ground, as a line going out of the frame. 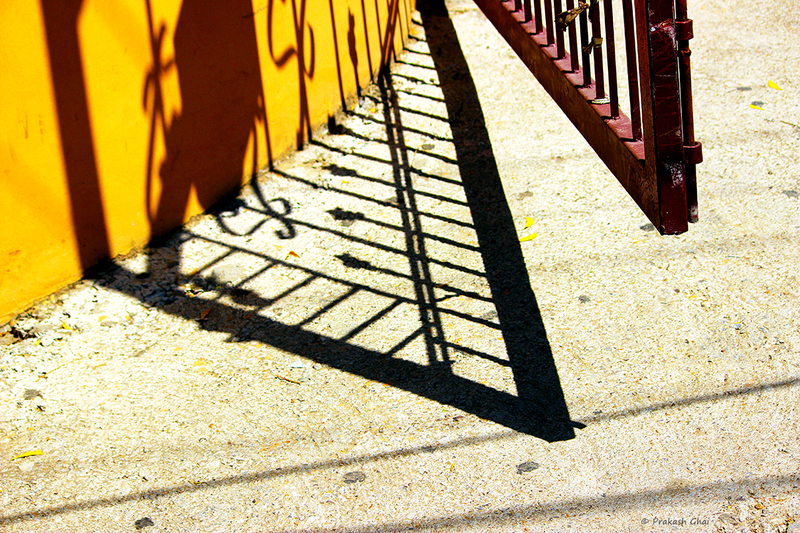 The line created by the shadow of the gate acted as a split between the outward going line and the small line created by the triangular gate structure, resulting in a triple split. We all want to be on top, be in the drivers seat and excel in whatever domain we are working in. We all have those leadership quality built-in by default. But, only some of us are able to achieve what we strive for. It is not that we don't work hard enough, we all do, but only some get lucky. That desire to be on top is well expressed here. The red wall signifies aggression and blue (generally related to oceans or water which covers a majority of the earth's surface.) 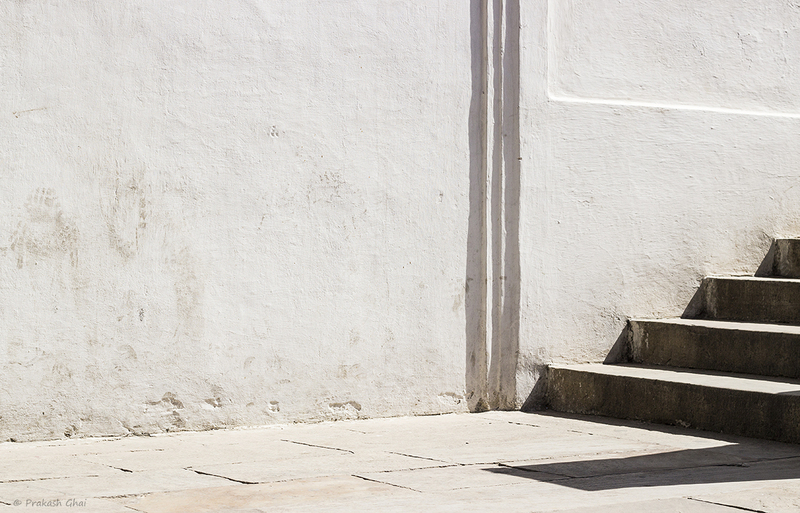 here is used to portray the desire to capture or have it all. The subtle curve that goes to the right indicates the hurdles that come in the way. I strongly believe that every Minimalist Photo speaks and can be analyzed to gain insights into both a) our own sub-conscious mind and b) the messages hidden in nature. To compose, I placed the curve on the right and kept it small. Red was emphasized but not overemphasized. 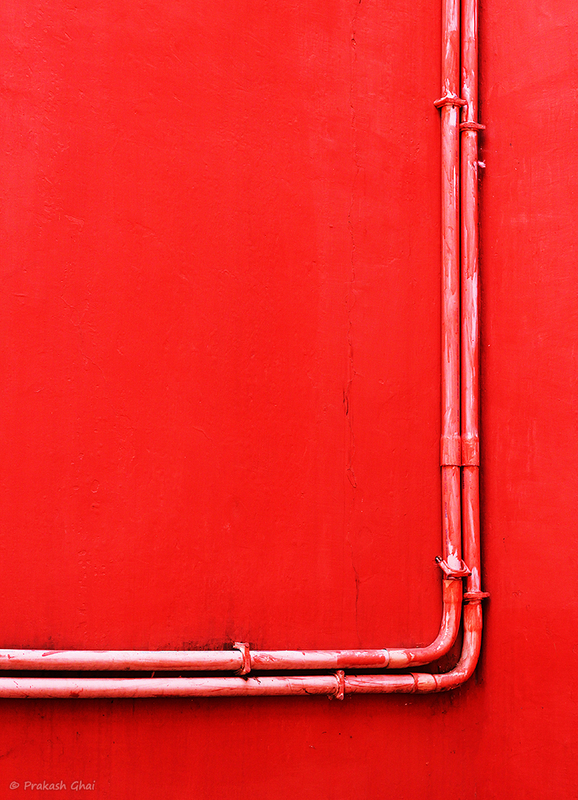 Shooting Minimalism as Few Distinctive Colors is not that easy. You always have to spot the intersection points or meeting points of different colors. Here there are 4 colors that meet at a point somewhere on the right hand side of the frame. The distinctive colors being, Red, Blue, Black and Brown.